Tuesday is "New Year's Eve" for water managers in California, but they aren't celebrating. This is the end of the state's official "water year," kind of a fiscal year for the water budget. Officials watch water years more closely than calendar years because they run from October to September, centered around the months in which California gets virtually all of its rainfall. And this one appears to be clocking in as the third driest on record, according to state climatologist Mike Anderson, with less than 60 percent of normal precipitation. "...on September 1, the state’s major reservoirs collectively held only 57 percent of average storage for the date, or about 36 percent of capacity. Cumulative reservoir storage in 1977, to date California’s driest year on record, was approximately five million acre-feet less than today but the state in that year had millions fewer people." If you're counting calendar years, 2013 was the driest on record and the outlook for 2014 isn't much better, despite the early showers that have passed through already this fall. Those rains helped put a damper on wildfires but weren't nearly enough to put a dent in the drought. Early hopes for drought-busting El Niño conditions in the Pacific Ocean have waned. It takes a mighty El Niño to really soak Northern California. Federal climate forecasters say the odds favor only a pipsqueak El Niño this fall and winter. The state also tracks a "precipitation year," which runs July through June, in which the one ended June 30 was the second driest on record. California typically gets half its precipitation in the three months between December and February. Anderson says it would take something in the range of 150 percent of normal precipitation for the year ahead to be a drought buster, and the forecast models are sending mixed messages. "Right now there's no definitive signal, where the ocean or atmosphere are telling us to lean one way or the other," he says, with an audible sigh. "It's just a lot of uncertainty." 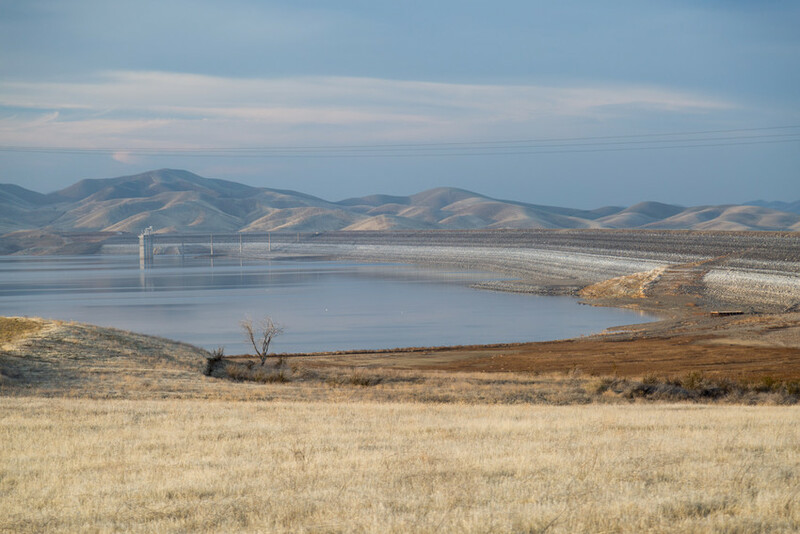 “The immediate certainty is that day-to-day conservation -- wise, sparing use of water -- is essential as we face the possibility of a fourth dry winter,” DWR director Mark Cowin said in a release. The web is rife with water-saving tips, including the state's official conservation site.